'It is important to always give your work the respect and time it deserves' - Janani Balasubramanian, Founder & Designer at Kaagitham | Unkrate | Creating Experiences. 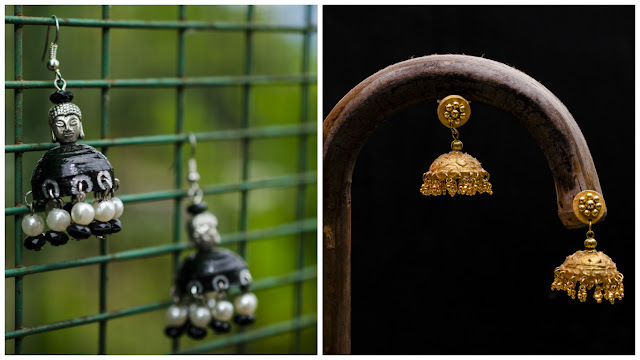 Janani Balasubramanian, the founder and designer at Kaagitham has been working the art of handmade jewellery for several years now. 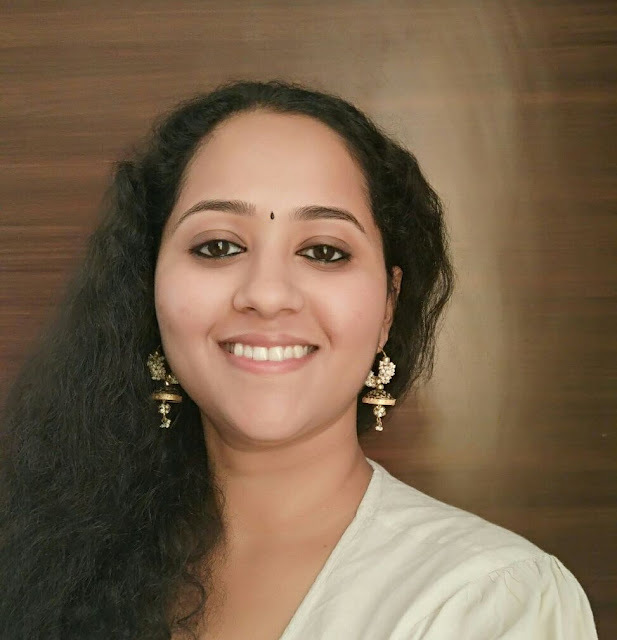 An Engineer and MBA graduate, after a brief stint with the IT industry, her passion for handicrafts and art has been pushing her brand forward for the last 3 years. Janani Balasubramanian, in an interview with Prateek Thakker spoke in length about her journey from an IT professional to setting up a handmade jewellery brand, different asects of this business, on what keeps her motivated when things are down and out, on different aspects of her life and oter interesting details. I did my engineering, went on to do my MBA and then started working with an IT firm based out of Bangalore. Everything was as planned but the work did not make me excited. I was not looking forward to doing it for years together. When I quit my job and had a break for a couple of months, I was unsure what to do next. Art and crafts have always calmed me down so I started watching Youtube videos, buying books on newer craft styles and ended up falling in love with paper art. Converting paper into jewelry was there outside of the US but they had a different style to it. I started experimenting, learning and perfecting it to suit our taste. Starting a Facebook page to display these designs was also something that was not pre-planned. I started a page because it costed nothing and asked friends and relatives to share it across. Social media is a powerful medium. I started getting requests for orders and people had only good things to say about us. I decided to not get back to working and started up Kaagitham. It means ‘paper’ in Tamil and I loved the way it told people what we are in an instant! I always end up creating a lot of ethnic Indian jewelry with a paper base. Indian jewelry, especially the antique pieces are a joy to look and adorn. I always look around for interesting designs around me. Carved pillars in temples, an old saree of my mom, different art styles from different parts of India, everything is an inspiration. I want people to enjoy intricate, grand looking ethnic designs without worrying about the weight of the same. Paper jewelry weighs around 1/10th of any metal design you buy. Anything that is comfortable and makes you feel good about yourself is your style. I am a strong believer of comfort over fashion and that is also a reason behind creating easy to wear, light weight jewelry. There are times when things don’t move in the pace you want. I question my idea, my effort and tend to get really down. At these times, I always end up researching new designs, looking at what other crafters around the world are doing, and work on something new. It brings back the core of why Kaagitham started – my love for creating designs. I also end up looking through our journey, looking at testimonials we received and also read a lot of entrepreneurial stories. That brings back a lot of motivation. I have a comfortable home office and that saves me a lot of time without commuting in the Bangalore traffic. I have a husband who gives me the space to work uninterrupted and I have also been able to take up few freelancing works other than Kaagitham to keep the money flowing in! Sometimes, the fact that you work from home can be misused, by you and by people around! It is important to always give your work the respect and time it deserves. You should schedule your day right and treat it like a full time job. When we realized people enjoy handmade stuff and attach a value to it, we thought we had quite a big market out there. My husband had always been interested in startups and new ventures and he pushed me to take this from a hobby to a career. We experimented slowly. The more people loved us on social media and bought from us, the more we created and the more we reached out. The challenges started from me being an introvert, not able to talk to people, not able to negotiate, get better deals from manufacturers or ‘sell’ the idea right. But over the last 3 years, Kaagitham has helped me grow better as an entrepreneur, as a business woman, as a person who can be confident and ask for what she wants! You should believe in what you say. You should be able to follow through your words. You must be able to speak out confidently and ask what you want! It helps a great deal when you can network with people and build relationships. Being truthful to yourself and always listening to your conscience is important whatever you do. Every amazing thing in life needs to be celebrated. So yes! I think it is very important to tell our girls how special they are, what they are capable of and why they need to be proud of themselves. I have always wanted to be a wanderer. Travel around, meet new people, experience new cultures and enjoy nature’s different phases. The startup world is embracing a lot of women and are genuinely happy about it. This is an exciting phase to be in and grow. There might be some judgment, some bias and that is common in every field. Learn to ignore them. All of us have equal opportunity to succeed here. I think the difference is every extra bit of work we put and definitely not the gender.